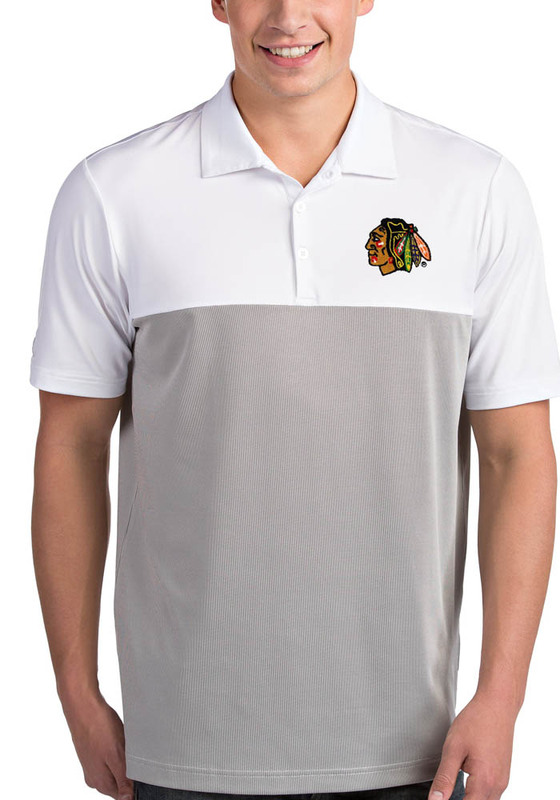 Showcase your Chicago Blackhawks pride at the office or on the golf course in this Antigua White Venture Short Sleeve Polo! You'll look sharp in this Blackhawks Polo, which features a Chicago Blackhawks logo on left chest. 95% polyester/5% spandex Desert DryTM moisture wicking jersey knit short sleeve polo with solid top front panel and sleeves and yarn dye mini-stripe at lower half of garment. Solid self fabric collar, open cuffand 3-button placket. This Chicago Blackhawks White Venture Short Sleeve Polo Shirt is the perfect update to your professional wardrobe.